Need to hire an ice cream van for any occasion? then look no further, Nat's Ices has been serving up the best ice creams and refreshments throughout the Midlands and Warwickshire for generations, we have built up a strong reputation based on the quality of our service and products. We cater for a large and varied customer base, and service many events and festivals where ice cream van hire and chilled refreshments is required. All our staff are trained in all aspects of food hygiene and we work closely with local councils HSE to ensure all aspects of our catering service surpass current food hygiene legislation. As one of the Midlands largest ice cream van hire vendors we have as you would expect the newest and largest fleet of "Eye Catching" Hosted Ice Cream Vans for hire to cater for all size events and festivals throughout Warwickshire and the Midlands. • Last, but not least "Service with a Smile"
All our Ice Cream Vans are fully insured and covered for public liability. 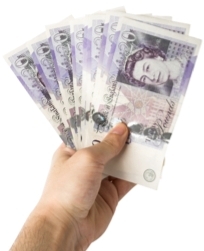 We are happy to supply any documentation which you may require to meet with insurance health and safety criteria (Click Here) for download. All our ice cream vans are cleaned daily before and after use to ensure they meet our own stringent hygeine standards. We particularly welcome enquiries from registered charities and schools who may benefit from a percentage donation towards fundraising schemes when booking Nats Ices, please call us on: 024 7645 4864 for details on our ice cream van hire packages. Whatever the size of your show, festival or event please contact us to discuss your ice cream and refreshment requirements. 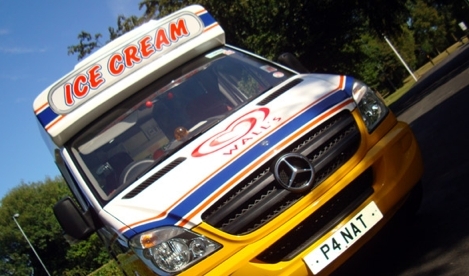 We have a wide range of ice cream vans that cover a number of locations throughout the UK. Good Commissions Paid for Ice Cream Pitches!